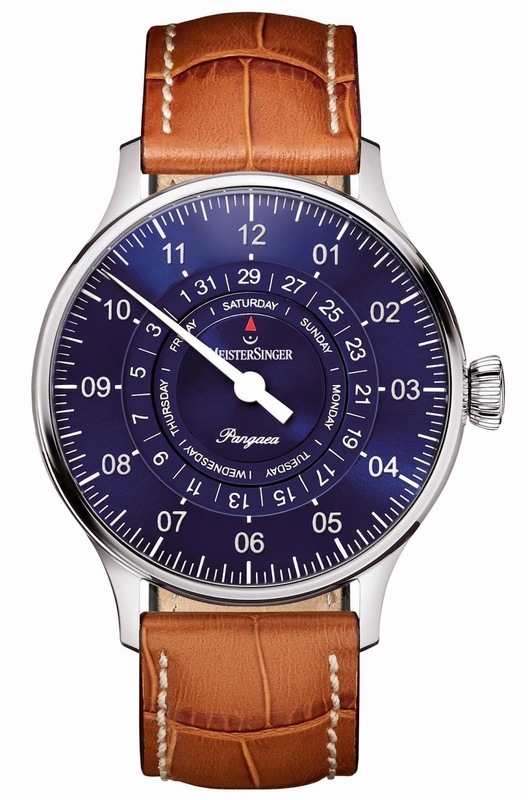 MeisterSinger manufactures unusual watches featuring single hand for time display. Besides the single hour hand, the manufacturer’s timepieces are characterized by the meticulous design of the dials, with expressive typography and clearly readable markers. Last year, MeisterSinger featured bold colors for the first time. The alternating light creates ever-changing shadows that glide across the sunburst blue dials of the No. 03 and the Pangaea, which has made them a great success. The deep blue, with the promise of so many surprises, has proven to be highly compatible with the MeisterSinger wearers’ sense of time. 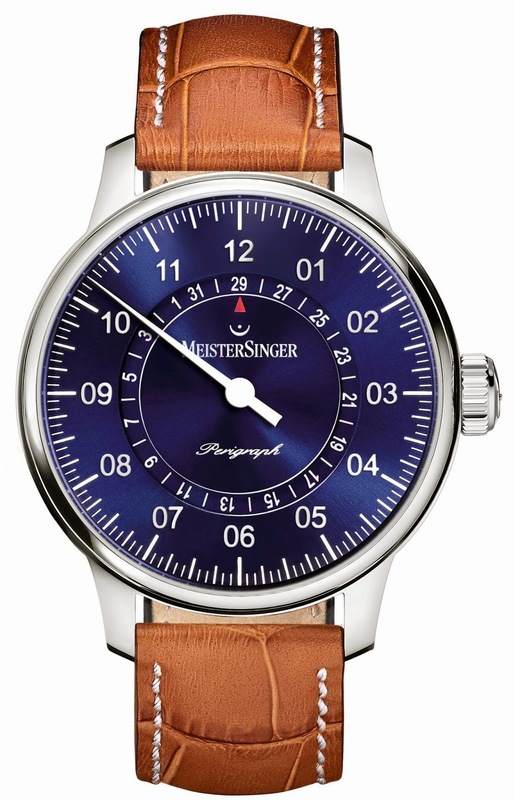 In 2015 MeisterSinger is presenting blue versions of two further models. Both models have already been awarded prestigious design prizes. The Pangaea Day Date and the Perigraph with blue dials will be available from April 2015 onwards.